Our vintage trailer rentals are a unique and fun way to take a step back in time, and cherish the great outdoors as well as our American history! They are perfect for styled lounges, custom branding and marketing campaigns, production and more! All vintage campers are delivered and set up to your desired location—complete with vintage outdoor awning and chairs, fresh linens and towels, a Tempur-Pedic mattress, all cookware, games, and firewood! Available for rent all over California and the Western United States. The vintage camper trailers are a unique and fun way to take a step back in time, and cherish the great outdoors as well as our American history! 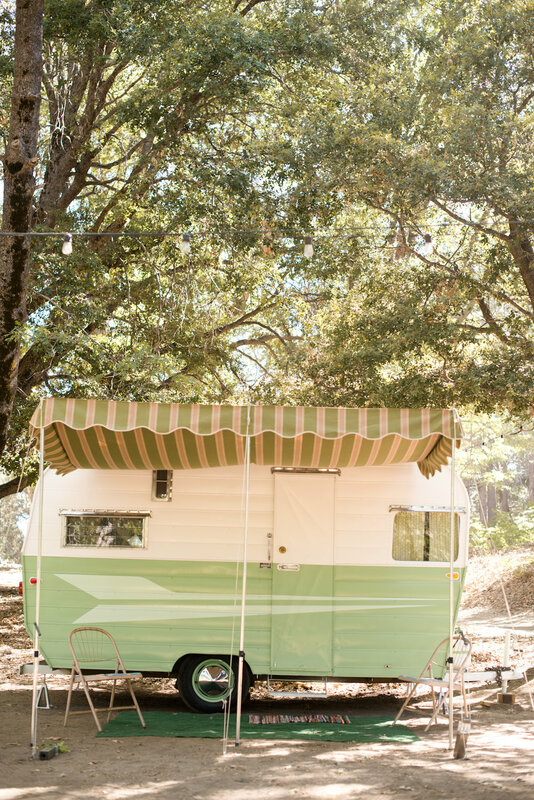 Whether it be as a backdrop for a special event, family campout, marketing campaign or photoshoot, contact us to learn more about our vintage trailer rentals!